The National Weather Service has developed templates for new products that will replace the watches and warnings that have been used for decades. 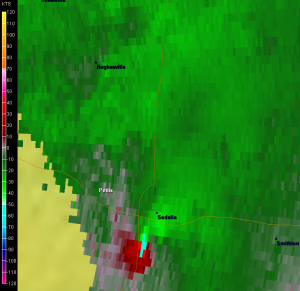 The National Weather Service plans to begin in 2012 using new templates to get out the warning of events like this, the May 25, 2011 Sedalia tornado as seen in doppler radar velocity imagery. 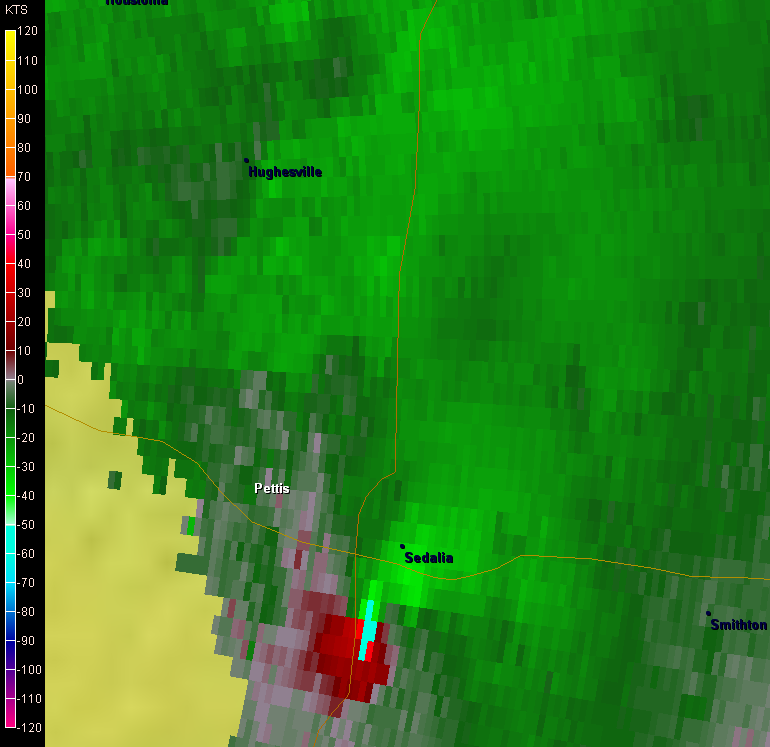 Image courtesy of the National Weather Service. Warning Coordination Meteorologist Andy Bailey with the Kansas City/Pleasant Hill office of NWS says work stepped up to develop those templates in response to the toll taken by severe storms this year. While new warning products may be heard in 2012, Bailey says the effort to create and refine the way NWS gets its message out will likely continue for several years.